When you require photography, there’s nothing more important than conveying exactly what you need to our photographic team. That’s where “Mood Boards” become invaluable. Simply put, mood boards are a collection of images that convey a design theme, style, direction and inspiration for a particular shoot. You can be as specific as you want to be. You could create a mood board for lighting, mood, colour, props or anything that could be used as references for the actual shoot. The clearer you are in what you are looking for, the smoother the shoot will go. So, for example, you need some creative product photography done of your new range of cosmetic products. You’ve seen some images online that you like. Wouldn’t it be good if you could collate these images into one area so you could show our team? This is where Pinterest comes into its own. 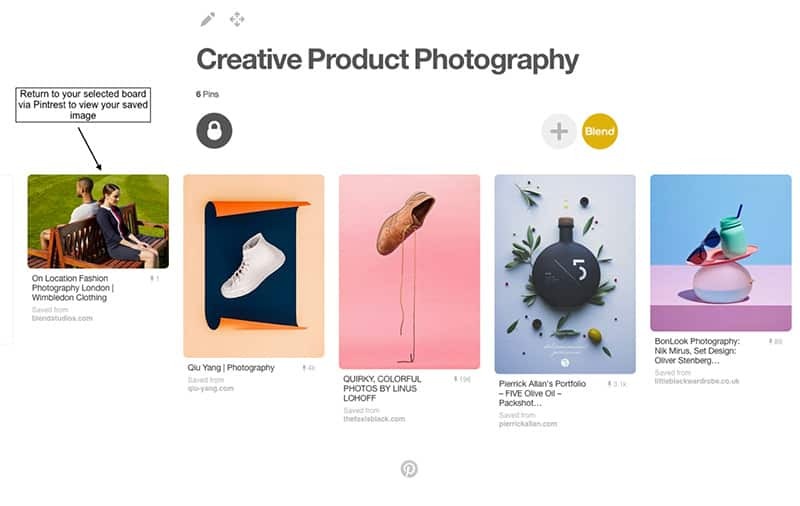 Pinterest is an online resource that enables you to collect images you discover to cloud-based “boards” that you have created. 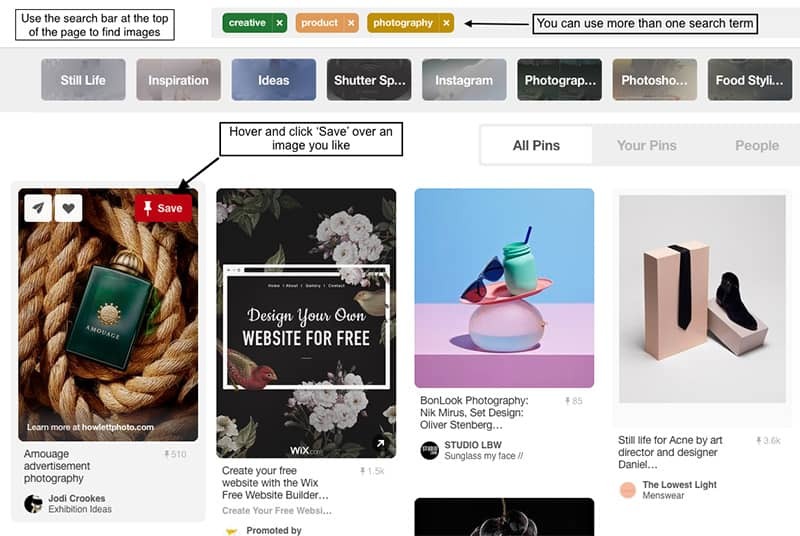 If you’ve used Pinterest before, you might have always been under the impression that it was made only for collating images of your dream wedding or fancy home décor. It’s actually an incredibly useful platform to use that will improve your brief. Registering is straightforward. 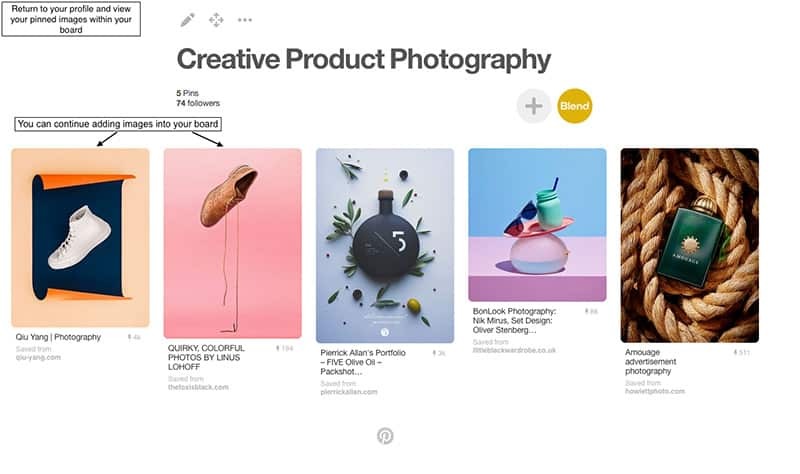 Your account can link to either Twitter/Facebook, meaning clients can view your work via Pinterest- adding to your social media presence (don’t worry, select boards, can be hidden too). Once you created a mood board, then you can start adding images to it. 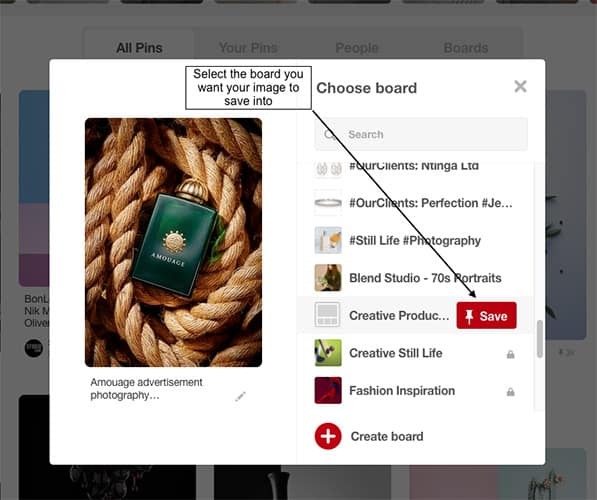 You can add images from other people’s public boards within Pinterest, or you can add any images that you discover online by using the Pinterest browser plugin for your web browser. 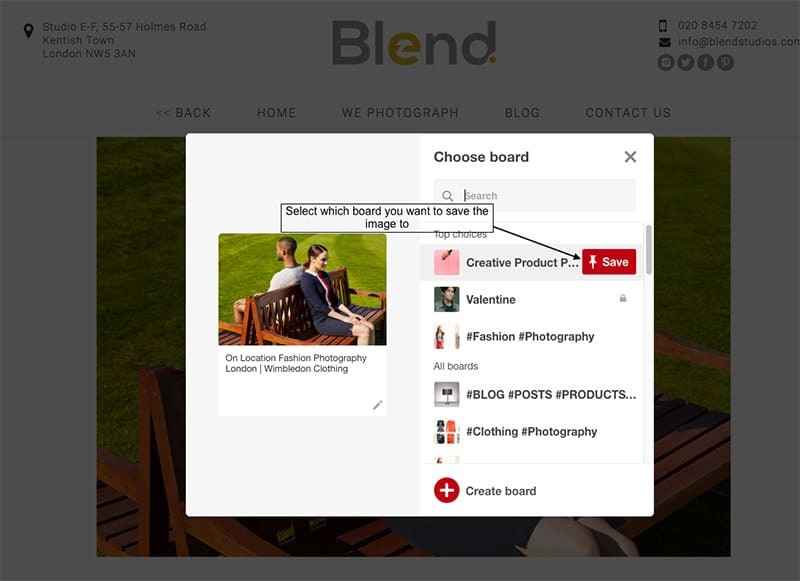 Within the Pinterest website, you can browse through hundreds of images relating to your chosen term or phrase. When you see something you like, it can be ‘pinned’ to your related board, which is essentially an album. This collection of pictures (board) can then be shared with our photographic team. 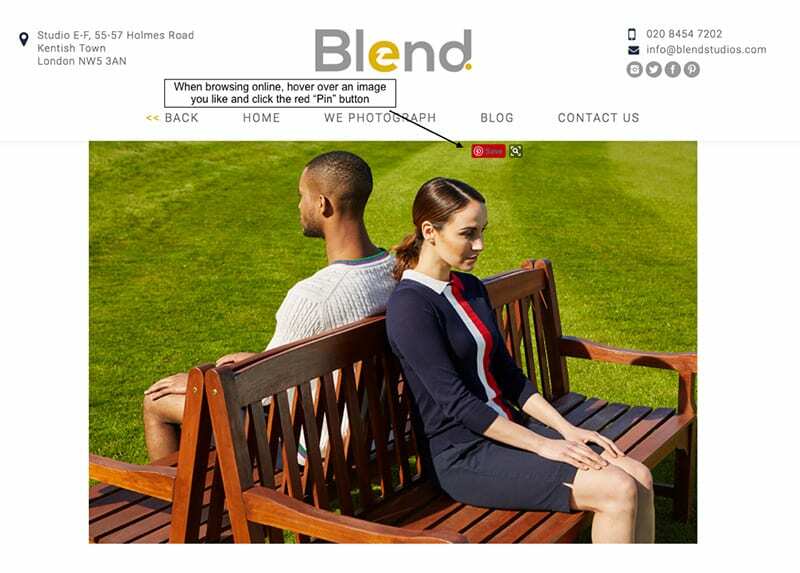 This will act as a visual brief and will help them understand the style of photography that you’re looking for. We would wholly recommend trying Pinterest if you’ve never used it. After all, they do say a picture is worth a thousand words. It’s the easiest way of communicating your creative thoughts.